Take advantage of incredible discounts from our landscape design coupons and sprinkler coupons for your lawn and garden home improvement from the local experts at Sprinklers Incorporated. Early Bird Landscaping Special $2,000 OFF! Spring will be back, and the early bird catches the worm! Schedule a Free Landscape Estimates including Hardscape, Xeriscape, Water Features and Turf Reduction. If you book now to be scheduled next Spring for your landscape installation you can save up to $2,000 on any landscape design and installation from our team of trusted professionals. Our landscape design and installation is backed by our 100% Satisfaction Guarantee. This offer is good for any landscaping installation of $10,000 or more. To Save $2,000, Landscaping Project must be $10,000 or more. This offer expires on 11/15/2018. 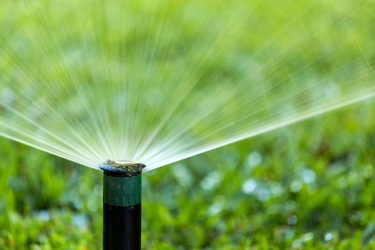 Prevent costly freeze damage and repairs with an affordable sprinkler blowout! Right now, save $10 when you call by 4/5/2019. Our blowouts are covered by our No Freeze Damage Guarantee! This offer cannot be combined with any other offers. Plan ahead for next Spring. If you know you're going to need new sprinklers, get Right now save big on any new sprinkler system installation. This offer is good for any sprinkler system installation of $2000 or more. This offer cannot be combined with any other offers. This offer expires 4/5/2019. Free Sprinkler Smart Timer Upgrade with any Sprinkler System Installation, a $600 Value! Right now save big on any new sprinkler system installation. This offer is good for any sprinkler system installation. This offer cannot be combined with any other offers. This offer expires 4/5/19. Trust your sprinkler repair to the most ethical sprinkler professionals for 15 years in the Colorado Springs and Pueblo area! Discount can only be applied to the actual repair. This offer cannot be combined with any other offers. This offer expires 4/5/19.